It’s one of the most frustrating things… moving an item on a bookshelf only to see a clear outline of where was sitting. Or how about moving a piece of furniture and discovering a herd of “dust bunnies” has taken up residence? DID YOU KNOW that you have a bunch of “guests” residing in your home… and you want them out! These pesky creatures are virtually invisible to the naked eye; in fact, you may need a 10x power magnifying glass to see them. Although tiny, they cause a host of problems, including allergic reactions, even asthma and wheezing. Is there a lot of sneezing going on in your home? This article may help you with that problem! That’s right, you guessed it. We are talking about dust mites. Yes, you vacuum your carpet and even your furniture and mattresses… but they are still there, living and breathing and enjoying themselves at your expense. There are some really disturbing details we could share with you about these creatures, but we want you to sleep well at night. However, you do need to know a little bit about these tiny creatures, so you can make sure your home is as healthy as possible. Dust mites like to eat flakes of human and animal skin and other tiny organic particles that are naturally going to fall to the floor, into bedding and furniture and, of course, the carpet. There is nothing you can do to get rid of all the dust mites in your home. They will always be there. But you can reduce how many of them there are with regular professional cleaning of your carpet, rugs and furniture. A thorough cleaning will help do some quick evicting of these sneeze inducing scoundrels. For most of you, it's that time of the year again... when the kid(s) head back to school and you are faced with some extra cleaning chores. With the kids otherwise occupied, it's a good time to take a look at something that doesn't receive as much attention as it should - the floors. Even if you don't plan to have your carpet cleaned, take this opportunity to move all the furniture and do a very thorough vacuuming. Move the vacuum slowly across the carpet, removing as much dry soil as you can. Your vacuum won't do anything about Kool-Aid, coffee, tea or other food related stains, but it will remove quite a bit of dirt. In fact, something you might not have known about, it is estimated that nearly 80% of all soil in carpet is dry, insoluble soil. That means your favorite carpet cleaner will actually remove more dirt with his professional vacuum cleaner. His deep cleaning method will take care of the water based soils and oil based soils, which are what really creates a dirty carpet. So don't forget: It's time. Time to clean your carpet. Do what's right for your home, your family and those kids about to come home from school ready to play. Call your carpet cleaner. ... and although somewhat harmless to do so, the end result could be a mouthful of ink and a carpet with multiple ink stains that can be very tough to remove. Some treatments tout using hair spray to remove ink. Does that work? It can. It's the alcohol in the hair spray that will dissolve the ink. 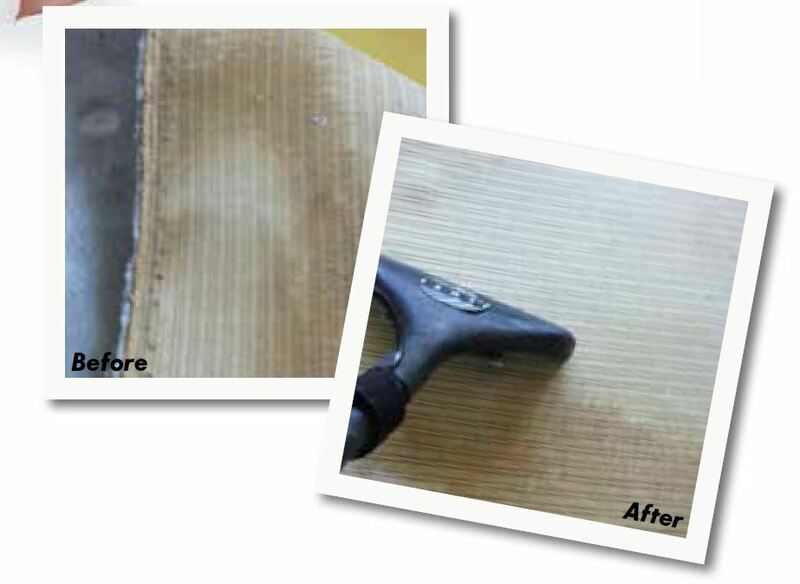 But there are often better ways to approach this challenge as a do-it-yourself spot and stain remover. The first step is "containment." Ink, as you remove it, tends to spread out and become a bigger problem. What may start as a tiny spot can quickly become the size of a quarter or even larger. So wet out the area around the ink stain with water before you begin to remove the ink. Use plenty of absorbent white paper towels. What is in the carpet is more than you might think and you will need lots of absorbency to remove it. Apply to the towels some solvent, such as acetone or gel solvent you can purchase at most hardware stores. But don't get too much into the carpet. It will "delaminate" it and cause all kinds of problems. As long as you are seeing transfer to the towels, you are making progress. This will take some time. Be patient. Of course, the best thing to do is call a pro because they have special tools for extraction and special chemistry for the job. But if you do it yourself, go slow and be cautious. Remember, permanent damage and more staining can occur. This is a really cool PDF download about the issue of what happens when carpet begins to be replaced by hard flooring. This is really impacting the hotel industry and you are no doubt seeing similar issues with some of your commercial accounts. This could also affect the residential market... check it out, a good read. Click here for your own copy of the Commercial Flooring Report. P.S. If you want your own Outpost Site, just sign up for your own MarketingZoo subscription. This is a directory site that is really getting some good SEO results for members. Click here for the MarketingZoo homepage with all info. 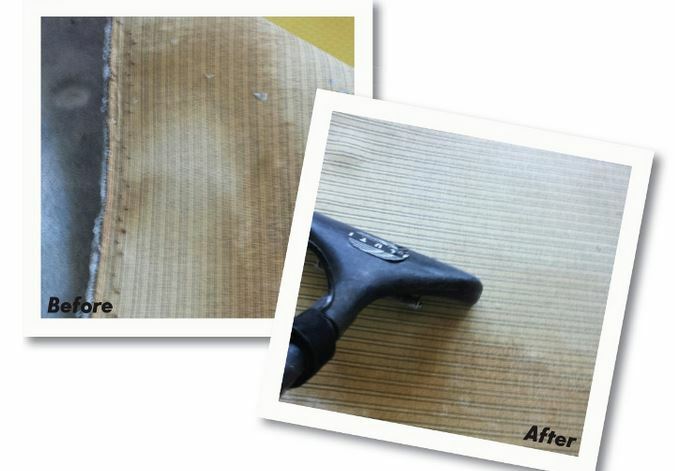 Check out how this cleaning pro did an amazing job getting some abused, seriously soiled tile and grout clean. The cleaner is Ryan Szemacs with Noble Carpet Cleaners of Las Vegas. When you need a quality tile and grout cleaning company, do your research and maybe even ask for some before and after photos. You want the absolute best tile and grout and hard surface cleaning possible. As a homeowner and a pet owner, you no doubt have those disturbing occurrences when your dog or cat has an "accident" and then you need to clean it up. This is especially problematic if the "accident" is urine because it can penetrate deeply into the carpet backing, pad and even the subfloor. Following is an example of what it may take to remove this type of pet urine contamination. Teddy Moon with Rainbow International of Marysville, WA had a job like this recently and this example was published in Cleanfax magazine. Check out the pictures below This involved more than cleaning the carpet pile. It meant his company had to pull back the carpet, trade and clean the backing, using special and powerful detergents and deodorizers to obtain acceptable results. So when you have a pet accident on the carpet, it may involve more than simply cleaning the surface. Think deeper! Can You Trust a Carpet Salesperson? When shopping for new carpet, many are at a loss... who really knows what's best for your home? But you need something. So off you go to a local carpet retail store. Tons of choices as you walk in the door. The carpet salesperson is nice, polite and seems to know what he or she is doing. And there is a great deal for you. A virtually stain-proof carpet with vibrant colors and - of course - soft to the touch. You put your fingers into the carpet pile and love how it feels. You are sold. You bite the bullet, spend tons of money and order that wonderful carpet for all the carpeted rooms in your home. But then... maybe just a year later... you notice it is starting to get dull, mat down, 'ugly' out. Well, it could just need to be cleaned. Every carpet installed needs a professional carpet cleaning company to maintain it. So you have it cleaned. It looks better but still has that dull, matted down appearance. It could be the carpet salesperson didn't have the information he or she needed to specify what was best for your home. The salesperson might not have known the questions to ask. Don’t you hate it when you purchase something and it doesn’t perform as promised? But remember, carpet salespeople may not be your best consultant when it comes to carpet specification. So before you go looking for new carpet or furniture, do something that everyone should do but virtually no one does. Talk to your carpet cleaning professional. They clean carpet every day and see all kinds of issues and situations, and they just might be a better sales consultant than the one you encounter in the store. It can be a very scary thing! No, not a spider in your bed or a snake in your garden... but hiring a carpet cleaning company or furniture cleaning company (or any service company for your home, in fact). But you have to do it, so you investigate companies you might hire. It's not an easy assignment, although looking at online reviews does help. Check out Angie's List, Yelp and Google Reviews for information, among other sources. Most people are honest (most!) about what they say in reviews. That being said, it's just a start. You have to really do your homework, because you are inviting strangers into your home. You want to trust you have chosen the best carpet cleaning company in your city. And once you have chosen a quality company, keep using them! Yes, there are cheaper companies out there, but quality is important. How can you do your homework and your own investigation? 1. Ask your friends and workmates. Nothing is better than a good referral. And when you call the cleaning company, let them know how you got their number. It kind of puts them on their best behavior, knowing they are working for a referral and all companies know that good work means MORE referrals. 2. Check out their social media pages. See what they say, especially about their customers. You want to see pictures of their work, and how proud they are to be the best. 3. If you can, look at their trucks when you see them driving around. Are they neat and clean, or in need of attention? Cleaning companies should be clean themselves. 5. And when making that phone call to inquire of their services, pay attention to how they answer the phone and treat you while discussing potential services in your home. That matters, too. 6. Don't be afraid to "just say no" if a company arrives and you are uncomfortable. Most companies are top notch and you shouldn't have a problem, but there are a few out there, such as the "bait-and-switch" carpet cleaners, who sell you a cheap price but want much more when it comes time to clean. Installing floor covering materials of any kind, and floor preparation treatments such as leveling agents and feather finishes, is challenging enough without impeding their effectiveness with a barrier. This technical bulletin from LGM and Associates has some great info, Just click on this link below and enjoy this report, in PDF format. One question I received many times during my years as a professional carpet and furniture cleaner was...."How safe for my family are your cleaning products?" It's a good question because you definitely don't want any products or solutions brought into your home that may not be perfectly safe for occupants... your family members. Much has gone into the formulation of cleaning products, from the detergents used for typical cleaning to deodorizers and spot and stain removers. Yes, some are powerful for specific tasks, like removing tough stains, yet these solutions are quickly rinsed out of the carpet or furniture fabric. Most companies use truckmounted cleaning machines which removes rinse water along with soils from the home and out to the work truck, to be hauled away for safe, legal disposal. So put your mind at ease. When you use a reputable cleaning company, ask your questions on the topics that concern you but remember the professional cleaning products are as safe - or safer - than the cleaning solutions you purchase for your own use. So you decided to spend a little more money than you have in the past on a new carpet. Yes, you installed nice, beautiful wool carpet in your home, and you couldn't be happier. Wool is more expensive as a fiber than the more popular fibers, such as nylon, olefin and polyester, but for a reason. It is higher quality, feels better, lasts longer and is a better investment. The challenge with wool is many don't understand how to care for it. Like any carpet, regular vacuuming is important. Vacuum once per week per occupant in your household. That's a good rule of thumb (at least for the heavy trafficked areas). Wool hides dirt, which is a good thing because no one wants to see a dirty carpet. However, this is dangerous because many people clean their carpet based on appearance. Don't wait until it looks dirty. If you do, you really wanted too long. Clean it based on a schedule. Talk to your professional carpet cleaner for recommendations. Remember, wool is like any other fiber and it can wear out. Dirt, grit and sand (and other soils) damage it with abrasive action from foot traffic. You might compare this to putting sand on a piece of Plexiglas and stepping on it. The surface will become damaged. Although wool isn't plastic, it can still be damaged. So congratulations on your new, beautiful wool carpet. Just be sure to take good care of it with regular vacuuming and professional cleaning. I get asked all the time by homeowners this question: "What kind of carpet should I get?" That's a very important question because carpet is expensive and you want it to last for years. Before I list a few fibers and why you should consider them, remember that no matter your choice, vacuum them regularly, at least weekly, and keep them as clean as possible. They will last much longer if you do. 1. Nylon: This is still the best synthetic fiber available. It is durable, lasts longer, has good resiliency and cleans up nicely. More carpet is made of nylon than any other fiber. However, it will stain from synthetic stains if not cared for properly. So if you are running a day care from your home and kids run around with sippy cups of Kool Aid, might be a concern. 2. Olefin or polypropylene: This fiber is the most stain resistant so let the sippy cup carrying kids have their fun. It's not an absorbent fiber so most stains (remember: most!) clean up easily. But it's not as durable as nylon and may show premature wear you don't like. 3. Polyester and triexta: Polyester, the traditional type made from recycled plastic bottles, will wear out faster than other types, but it is fairly stain resistant. Triexta is also a type of polyester but made from corn byproducts and is more durable than its close cousin and also fairly stain resistant. This is becoming a very popular choice but keep in mind high traffic areas could be problematic. 4. Wool: If you can afford it, buy it. It lasts longer, cleans up nicely when maintained, and looks beautiful. You can't go wrong with a good quality wool carpet. Everyone spills something. The thing is, don't panic! The second thing is, don't start putting just any cleaning products on the spots. Here is some simple advice and tips for what to do if you spill something on the carpet, like red wine, soda, coffee, tea and other stuff. 1. Blot it up. Don't add cleaning products just yet. Take an absorbent, white towel and start blotting. Don't rub, don't scrub. Just blot and transfer the spill into the towel. 2. Start cleaning... which means add a safe neutral detergent to your spotting towel, never pour it on the carpet. Adding a small amount of cleaning product is best. 3. Flush it out. This means using a wet/dry vacuum to vacuum up all moisture. Never use heat, and this means that hair dryer you might be tempted to use to dry the spot. This can actually "set" the stain. A cool consumer and homeowner spotting guide can be found at the Carpet and Rug Institute website. Click here for that guide. And when in doubt, always call your carpet cleaning pro. Teddy Moon with Rainbow International in Marysville, WA sent in these pictures to Cleanfax and won a photo contest. What you see here is a severe pet urine problem in the carpet. You might think that if your pet has an "accident" that cleaning the surface of the carpet will remove the spots, stains and odors, but that's not necessarily true. Urine will soak into the carpet, into the backing, the padding and even the subfloor. In this case, Teddy disengaged the carpet and pretreated the backing with a specialized enzyme, used hydrogen peroxide and flushed out the contamination. Reinstalled the carpet, cleaned the surface and then deodorized. Getting your carpet cleaned is just about the best thing you can do for your home. At the same time, you want convenience. You want the carpet to be clean, but you don't want to have wet carpet for days. So when you choose a professional carpet cleaning company, ask them how long it might take the carpet to dry and make sure it is fast so you can enjoy your freshly cleaned floors. Your professional carpet cleaner has specialized drying equipment. They have powerful vacuums on their cleaning machine and powerful fans to dry the carpet after it is cleaned.